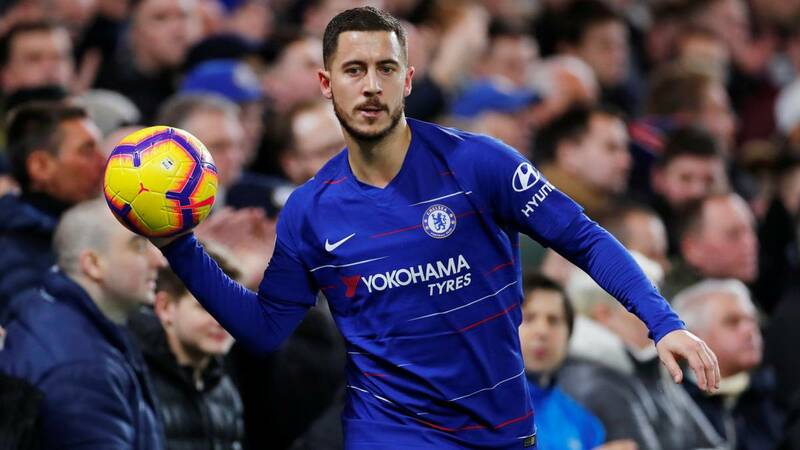 Home Soccer "Hazard rejected two offers to renew: wait for Madrid"
"Hazard rejected two offers to renew: wait for Madrid"
Kristof Terreur, a Belgian journalist based in London, gave more clues about the Belgian's future: "For Eden it's easy: either Chelsea or Madrid, he would not go to PSG". Kristof Terreur, a Belgian journalist based in London, gave more clues about the future of Eden Hazard, who aspires to win his second prize for Best Belgian Player Overseas, the Chelsea attacker sought by Real Madrid. For Terreur, that collaborates with the media Het Laatse Nieuws and VTM Nieuws and with strong ties with the close circle of the player, the blue player's future is at the expense of Madrid. "Hazard has rejected two offers to renew (with the Chelsea) so far and he says he does not want to sign anything right now, that means he's expecting something, and that something only means one thing: Real Madrid . And as far as I know, they (Madrid) are also interested, "he said. Terreur to explain that for now there is no negotiation whatsoever: "Madrid has yet to make its move, there is no agreement with him (the player) so far, nor is there an agreement with Chelsea. made a call like they did last summer when Madrid called last summer to Chelsea, Marina Granovskaia (one of the directors of the London team and right hand of Roman Abramovich) He replied that Hazard was not for sale. They respected him. But Madrid could return to charge again because they need to strengthen their squad after this season and it is easy to negotiate for players who have one year left on the contract ". It was also clear to explain the position of the Belgian winger:" For Hazard is simple. Either he stays at Chelsea or he goes to Real Madrid. Do not think about the PSG. They (for the Parisians) have always been snooping on the table and always got the same answer: they have already played in Ligue 1 and will only play that competition with Lille, if they ever return to France . Eden, his wife and children are happy. If the dream of going to Real Madrid is not met, he will stay at Chelsea and sign a lifetime contract. But I think he will press for Real Madrid to move the chip. Now everything depends on Madrid ".